Size of this JPG preview of this PDF file: 800 × 509 pixels. Other resolutions: 320 × 204 pixels | 640 × 408 pixels | 1,024 × 652 pixels | 1,280 × 815 pixels | 3,500 × 2,229 pixels. 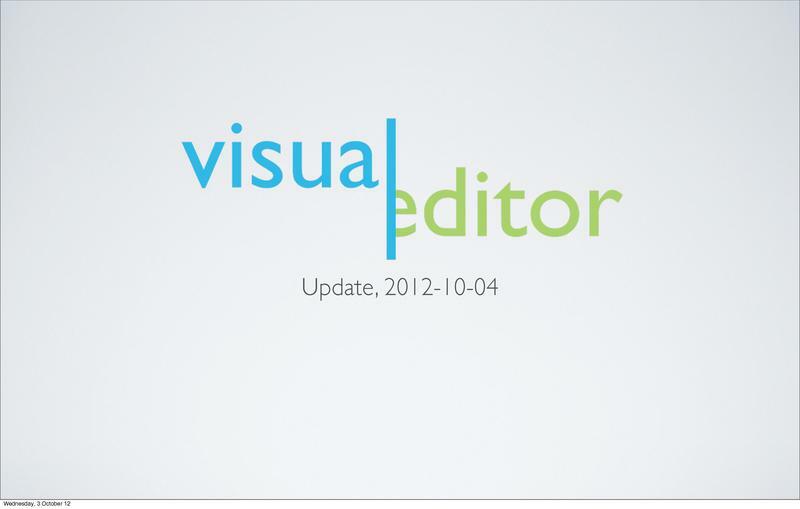 English: VisualEditor/Parsoid update presentation deck for October 2012 Metrics meeting.